In charge of a house in complete disorder, Virat Kohli will hope that Royal Challengers Bangalore play in the manner that defines his cricket, when they meet Delhi Capitals in the IPL Sunday. Bengaluru: In charge of a house in complete disorder, Virat Kohli will hope that Royal Challengers Bangalore (RCB) play in the manner that defines his cricket, when they meet Delhi Capitals (DC) in the Indian Premier League on Sunday. RCB have suffered five straight losses in this edition, while the visitors are coming into the game with two wins and three reverses. 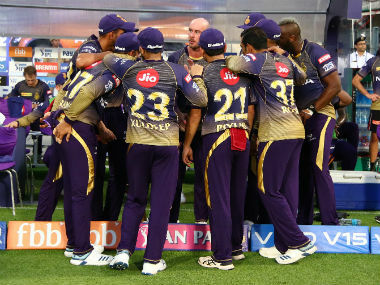 After losing the last match against Kolkata Knight Riders (KKR) on Friday, RCB's position has become precarious, and they have to win almost all their remaining games to keep their chances alive. 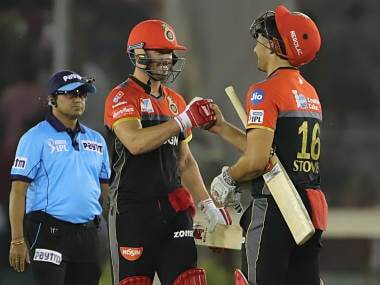 Despite AB de Villiers and Kohli striking form by scoring 63 and 84 respectively, RCB bowlers failed to restrict KKR, who was powered by Andre Russell's explosive knock. The defeat left Kohli frustrated, and the batting mainstay called it "unacceptable". The Jamaican walloped 29 runs in the penultimate over, which helped the visitors pull off a sensational victory. 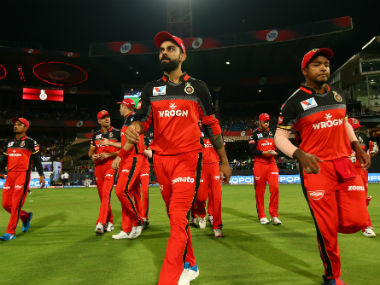 Apart from Yuzvendra Chahal and Pawan Negi, all other RCB bowlers have not been among the wickets and conceded far too many runs, which Kohli admitted in the post-match presentation ceremony. Against KKR, they leaked 66 runs in the last four overs. RCB's batting has also been dismal. In their first match against Chennai Super Kings (CSK), RCB were bowled out for a paltry 70 in 17.1 overs after their top-order crumbled against Harbhajan Singh and Imran Tahir. Against Sunrisers Hyderabad (SRH), the RCB bowlers allowed SRH to post a mammoth 232 with centuries from Jonny Bairstow and David Warner. RCB then collapsed to an embarrassing 35 for six by the eighth over, with Kohli and de Villiers contributing just four runs between them. In the end, they were skittled out for 113 to lose the match by a massive 118 runs. Against Rajasthan Royals (RR) too, the RCB top-order failed. The RCB think-tank would now be hoping that their top-order batsmen come out good against DC. Delhi also have their fair share of worries, having lost three matches. After making a positive start with a win against three-time champions Mumbai Indians, their journey has been uncomfortable. Rishabh Pant, who played a superb knock of 78 against Mumbai in their first match, has been the highest scorer for Delhi, while the likes of Shikhar Dhawan, Prithvi Shaw, Iyer and Colin Ingram, too, have been among the runs. The bowling department has been spearheaded by Kagiso Rabada, and they also have Trent Boult and Ishant Sharma in their ranks. Young leg-spinner Sandeep Lamichhane has also performed well so far for Delhi. Royal Challengers Bangalore: Virat Kohli (c), Parthiv Patel, AB de Villiers, Colin de Grandhomme, Umesh Yadav, Yuzvendra Chahal, Moeen Ali, Shimron Hetmyer, Shivam Dube, Mohammed Siraj, Navdeep Saini, Devdutt Padikkal, Himmat Singh, Milind Kumar, Gurkeerat Singh Mann, Heinrich Klaasen, Pawan Negi, Washington Sundar, Akshdeep Nath, Prayas Barman, Kulwant Khejroliya, Tim Southee. Delhi Capitals: Shreyas Iyer (c), Colin Munro, Prithvi Shaw, Shikhar Dhawan, Hanuma Vihari, Colin Ingram, Manjot Kalra, Chris Morris, Sherfane Rutherford, Keemo Paul, Axar Patel, Jalaj Saxena, Rahul Tewatia, Rishabh Pant, Ankush Bains, Sandeep Lamichhane, Avesh Khan Harshal Patel, Trent Boult, Amit Mishra, Kagiso Rabada, Ishant Sharma, Nathu Singh and Bandaru Ayyappa. The match will start at 4 pm and will shown live on TV by Star Sports Network. The match can also be streamed live on Hotstar.